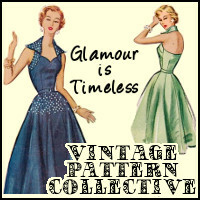 Friends, as I stitch my way through my last #vintagepledge of the year, I feel strangely liberated. 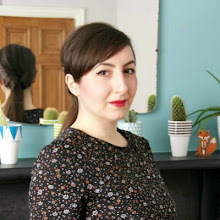 I originally planned on finishing my gorgeous Simplicity 4147 in time for a party on 12 December, but the date came and went without me getting further than a bodice muslin. I then figured I could make it for Christmas Day, but I've been so busy lately that it's more likely to be done in time for New Year's Eve. Then again, it may not be. And I'm not at all bothered, because I'm just enjoying the process, content in the knowledge that it'll be worth the wait. 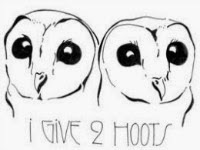 It feels so good to be rid of my self-imposed deadlines! 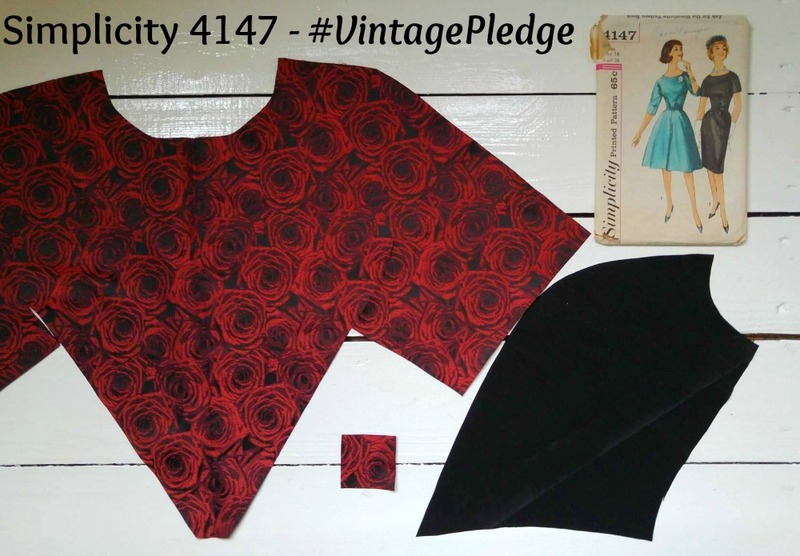 In the meantime, I thought I'd share a progress post with you, as Simplicity 4147 has some lovely design details, typically associated with vintage patterns and what often makes them so desireable. I apologise in the advance that the photography isn't up to scratch - I blame Winter gloom and my indecision in choosing editing software for my new laptop. Anyway, when I first cut out Simplicity 4147 I was left scratching my head about constructing the bodice. How on earth are you supposed to stitch a right angle to a curve?! The answer came in the shape of a bias-cut square. You slit the centre front/back pieces up to the armhole then you sew on a square, matching its centre to the tip of the armhole slit. After carefully trimming, you turn the square to the wrong side and press it neatly, revealing a much gentler curve in place of the right angle. You then slit the tip of your side bodice piece up to the seam allowance, which allows you to magically fit it to the front/back bodice with some careful manoeuvring. I won't lie and say it was easy or that the seam-ripper wasn't deployed numerous time...after all, I had to repeat the process four times! But, the result was worth it I think. 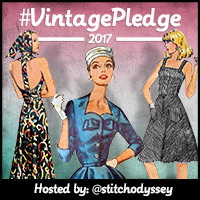 How are you getting on with your #vintagepledge? Have you entered our awesome end of year competition yet? That fabric is gorgeous. 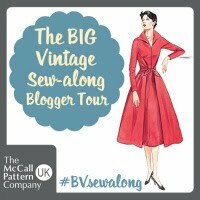 I love all your vintage makes and this looks like it's going to be sensational when finished. Take your time, this looks like a real labour of love project. Thank you so much and yes, patience is crucial for this make! Wow, that's gorgeous! I love the technical detail in this post, it's definitely good to see how other seamstresses improve on patterns with good technique. Thanks Kira, glad you found it interesting. I can't take the credit for the idea though, as this is what the pattern tells you to do...haha! What fabulous fabric, I'm really looking forward to seeing the end result. Beautiful construction! That technique is a new one on me, too. Crickey! I was actually thinking how lucky I was that the bodice isn't lined! Well done for figuring yours out...it was a stunning dress you made! Genius trick!! Im blown away!!! What in the world?! That's crazy-- thanks for sharing photos of this technique!